As their frequent repeat travellers can attest to, Nagel provides some of the most memorable one-of-a-kind holidays! Hop on board one of their state of the art, custom tour buses, and you’ll see what we mean. Whether guests are exploring the Canadian wilderness, kicking up their heels in the deep south, or staying warm on the road up North, Nagel’s expert guides provide exceptional experiences for all. One of Nagel’s competitive advantages is their extensive tour catalogue. 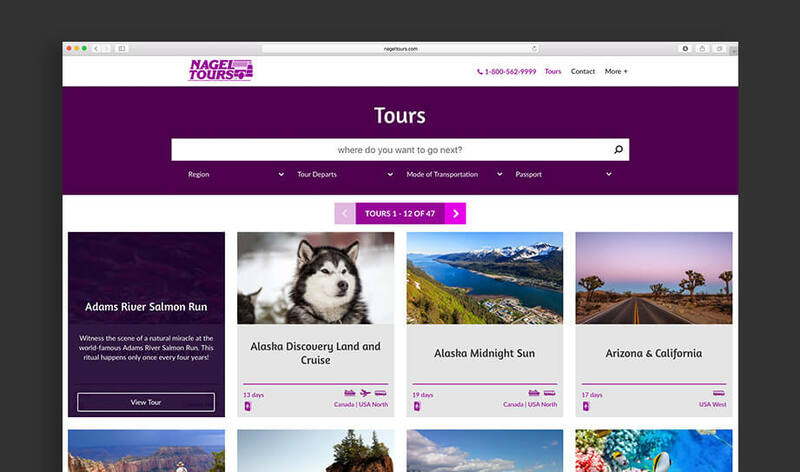 Their wide variety of trips and tours is a wonderful feature for guests, but tricky to properly display on a website. The Primal Tribe team worked tirelessly to ensure that not only would Nagel's tours be accessible via desktop, but on mobile devices as well. 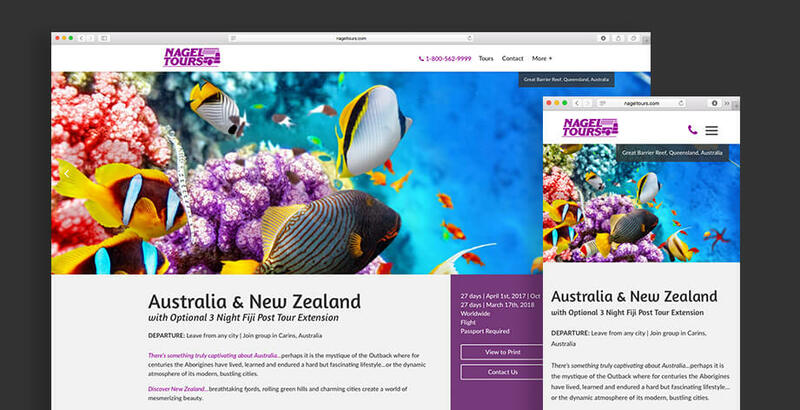 Pairing this with a sleek, user friendly design, Nagel Tour's new site makes planning your next holiday a breeze! 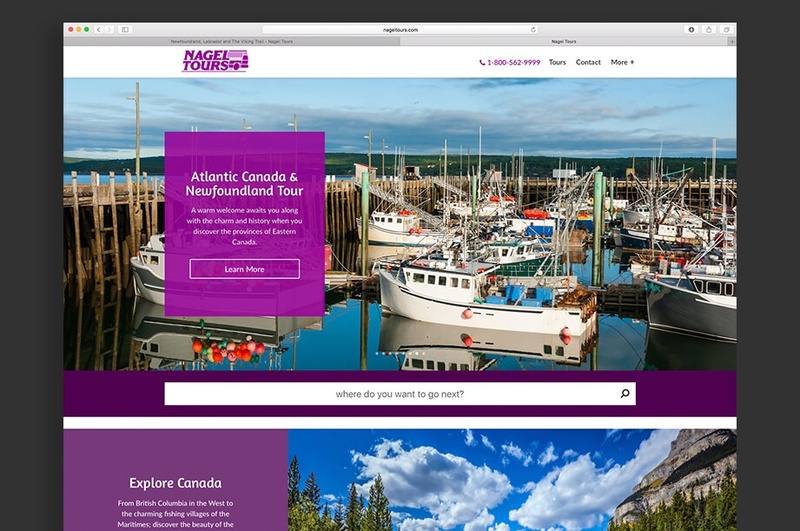 Hit the open road with Nagel Tours by visiting their website.